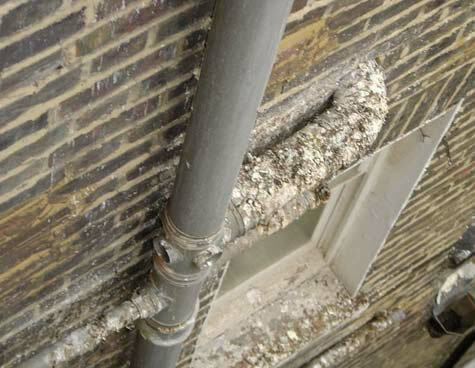 Pigeons have been roosting on the ledges and waste pipes in this example, which has created contamination in a light well below. Biocide disinfectants will have to be applied to the pigeon guano, and then the removal process can begin. Demolition could not be started on this site due to contamination from pigeon’s faeces and nesting debris in this derelict building. 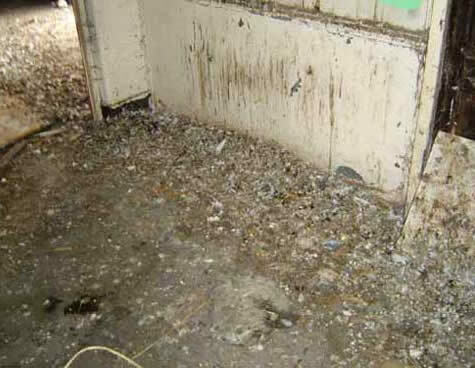 The first stages of this service was to cull the pigeons roosting and nesting inside the building, and then apply disinfectants and remove the pigeon faeces so the demolition contractors could commence works. In this example you can see the pigeon have been fowling the car parking bays below where they are nesting. This will create an unwanted odour and slip hazard for customers or tenants parking in these locations. This is a perfect location for pigeons to roost as there is adequate shelter from weather conditions, and a heat source from the air conditioning units making nesting and incubation for egg laying perfect. 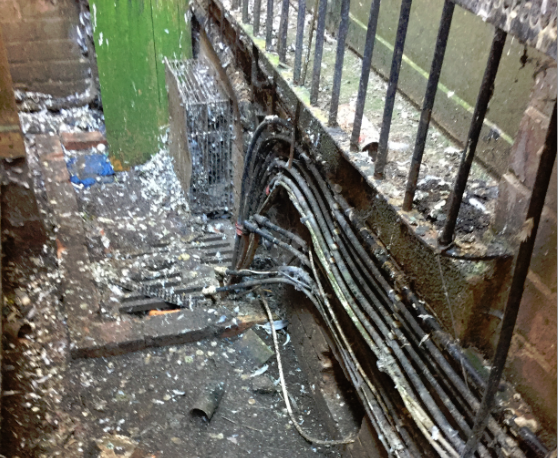 Companies providing maintenance for these units can’t access many areas due to pigeon contamination so pigeon netting products was recommended and installed to prevent pigeon nesting. 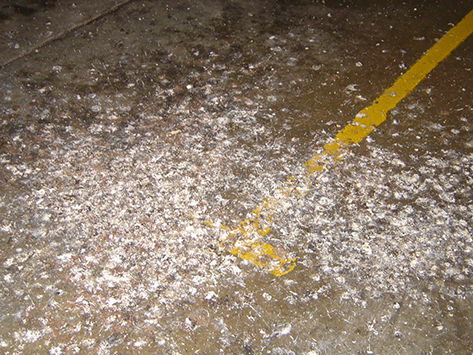 In this example you can see the thick heavy pigeon guano contamination from pigeons nesting and roosting in the concealed area. This will create a slip hazard for contractors, and generate an unwanted smell, along with flies infesting the contaminated areas.